The stories and images in these publications contain traditional knowledge of the Noongar people and have been published with the consent of these people. Dealing with any part of the story/knowledge for any purpose that has not been authorised by the custodians may breach the customary laws of the Noongar people and may also breach the Copyright Act 1968 (Cth) and Moral Rights Act. For enquiries regarding permitted reproduction of any part of these publications, contact Noongar Language Centre. The Noongar Language Centre will ensure all content and information is updated in the event of images that may need to be altered in respects to deceased persons and their families.  If any images on our website cause distress please contact Noongar Language Centre. All content and published works on this website are copyright protected. If there is a need to use information from this website, permission is required prior to the material being used. It must be referenced to avoid a breach of Intellectual property and copyright laws. For permission please contact Noongar Language Centre.